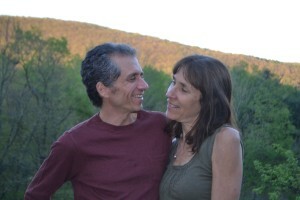 This is Lewis and Priscilla, authors of The Great Life Cookbook: Whole Food, Vegan, Gluten-Free Meals for Large Gatherings. Welcome to our blog! We are all influenced by the human desire to be of service to others. We have found a wonderful vehicle for this through providing a weekly meal for our friends, family and community. Every Friday for the past 18 years, we have hosted a gathering in our home. We are now ready to share what we have learned. Our intention is to support you in creating community through offering delicious whole food, plant-based meals with your friends and family.